Devoe Tanning is a Carrickmacross beauty salon and provides a full range of beauty services all over the Monaghan and surrounding areas. Monaghan’s beauticians, Devoe Tanning have highly qualified staff, experienced in all aspects of the beauty industry and provide an affordable beauty service in the county Monaghan and surrounding areas. Experienced staff at this beauty salon in Monaghan provides the following services at affordable prices, services include, sunbeds, nail bar, beauty treatments, skin care, skin rejuvenation, and massage therapy. Based in Carrickmacross, Devoe Tanning have clients coming from all over the Monaghan areas including Ballybay, Castleblaney, Clones, Emyvale and Glaslough. 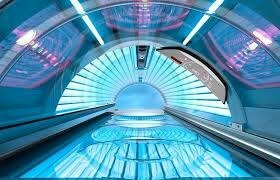 This tanning studio in Carrickmacross, Devoe Tanning provides a sunless tanning service for customers all over the county Monaghan and surrounding areas. Monaghan’s Devoe Tanning have top of the range lie down and stand up tanning beds and stock all the top quality tanning products for sale at affordable prices. Tanning shop in Monaghan, Devoe Tanning stocks Australian gold and other quality tanning products at their tanning studio in Carrickmacross. 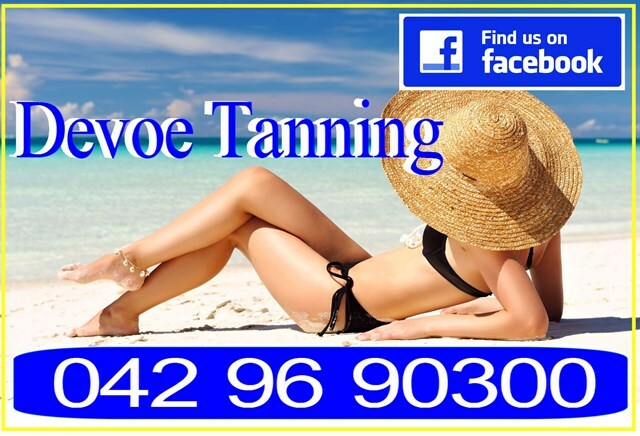 Devoe Tanning provides the following affordable tanning services in Monaghan, lie down sunbeds, stand up sunbeds, sunless tanning and tanning beds. Professional Monaghan nail bar has highly skilled nail technicians specialising in all the latest nail treatments and techniques and provide a quality and affordable nail bar service for Monaghan and the surrounding areas. Monaghan nail bar at Devoe Tanning provides the following services in Monaghan, services include, Jessica nails, acrylic nails, gel nails, 2 week polish, Swarovski crystal nails, file and polish and nail art. Long established beauty room at Devoe Tanning have highly qualified skin care specialists and provide a range of skin care and beauty treatment services in the county Monaghan area. A range of skin care services are available at Devoe Tanning in Monaghan including, Californian spray tan, waxing, Brazillian waxing, Hollywood waxing, anti wrinkle treatments, Botox, Dermal Fillers and skin rejuvenation treatments. The Massage Therapy Clinic in Devoe Tanning in Monaghan have highly qualified masseuses providing a range of professional massage treatments for clients all over the county Monaghan areas. Highly qualified masseuses in Monaghan's Devoe Tanning provide a full range of professional massage services including sports massage, therapeutic massage, relaxing massage and Swedish massage. Devoe Tanning Monaghan provide a full range of eyebrow treatments. 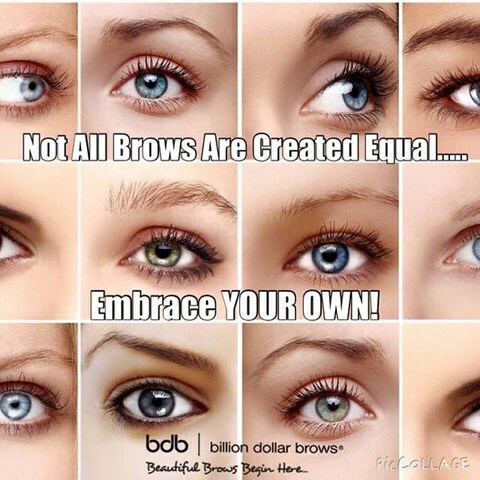 Devoe tanning offer competitive prices on all eyebrow treatments and can tint or shape your brows to specified choice. 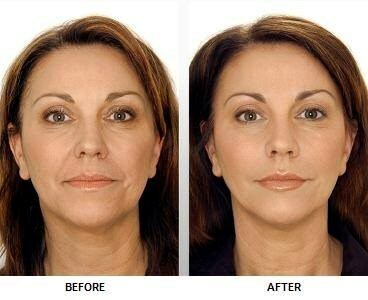 Billion dollar nrows are a speciality of the eyebrow treatments provided. The following eyebrow treatments are provided, eyebrow shaping, eyebrow threading, eyebrow waxing, eyebrow shaping, Billion dollar brows and 6D eyebrows.